Project Rhoeby is navigation capable. 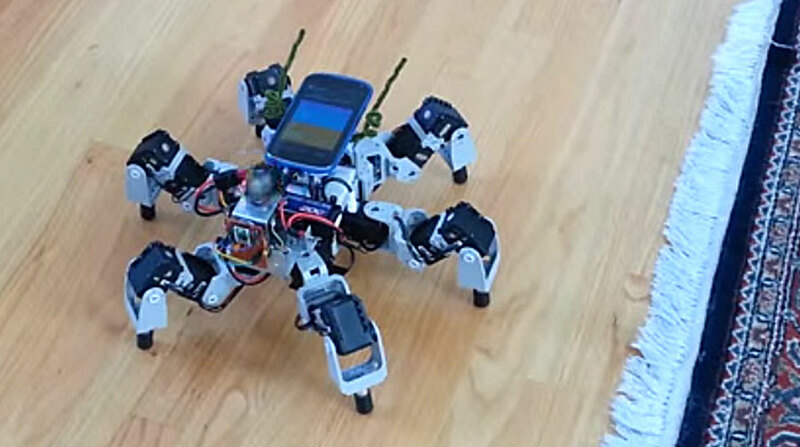 Forum user and roboticist madhatter101 has just introduced his newly ROS enabled hexapod, Rhoeby! Built on a Robotis Bioloid kit, it uses a TeraRanger 2D LiDAR (from Rhoeby Dynamics, hence the name) to scan its surroundings. It supports SLAM, Navigation, and Dynamic Obstacle Avoidance. Rhoeby is pretty slick, more details on the forums. This entry was posted on Friday, April 24th, 2015 at 9:00 am	and is filed under Featured Projects / Robots. You can follow any responses to this entry through the RSS 2.0 feed. You can leave a response, or trackback from your own site.